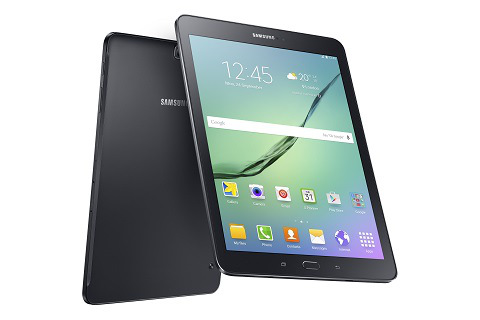 Samsung has just announced the global launch of the Galaxy Tab S2. The Galaxy Tab S2 is stylishly designed with the thinnest and lightest metal frame of its size on the market and packs powerful performance features to offer enhanced usability, empowering users with new and improved choices in productivity and multitasking. At just 5.6mm thin and only 389g (9.7 -inch) and 265g (8.0 -inch) weight, the Galaxy Tab S2 is perfectly designed for reading and consuming content due to its stunning Super AMOLED Display. By recreating the same viewing experience of browsing through traditional print media, the Galaxy Tab S2 also makes it comfortable to read digital content, including e-books, magazines, webpages and newsfeeds. This reading-optimized ratio allows the user to enjoy a seamless reading experience without unnecessary scrolling.